Even since the BJP government took control of India’s chariot, the Indian citizens have been showered with a number of interesting government schemes that are geared towards improving the lifestyle of Indians and pushing Indian economy harder and harder to enter a sustainable growth trajectory. The Pradhan Mantri Suraksha Bandhan Yojana is one such scheme that is going to contribute towards the cause. This scheme has been formally launched today (August 1, 2015) and is geared up to go all-guns-blazing on the auspicious day of Raksha Bandhan that is just around the corner. On August 29, 2015, the India will once again witness the millennia-old custom of sisters tying the protection knot on the wrists of their brothers. In return, brothers will shower their love for their sisters in form of gifts. For centuries, these gifts have held emotional value above everything. This time however, the Modi government aims to add some other value to the custom of gifts exchange. The Pradhan Mantri Suraksha Bandhan Yojana will allow brothers to offer gift cards of different monetary denominations that can safeguard the futures of their sisters. This will be a welcome gesture because the gift cards of Suraksha Bandhan Yojana will allow brothers to express their lifelong concern and love for their sisters with just a piece of paper that will go a long way. So, what really is this Pradhan Mantri Suraksha Bandhan Yojana and how does it work? Under this scheme, the government is offering a series of gift cards of 3 different monetary denominations. These gift cards are worth ₹ 201, ₹ 351 and ₹ 5001. Instead of offering a material gift that holds no long term value, brothers can give these gift cards to their sisters. Girls or women who receive these gift cards can enchase these cards but only through a bank account. Once the women/girls carry these cards to their preferred bank, these cards will be liquefied and the money value of the cards will be deposited in their personal savings bank accounts. If however, they do not own a bank account, the bank will go through the pain of opening a new savings account and deposit the money to that account. Money is just deposited which can be withdrawn from the account for immediate use. Money is deposited and used for paying insurance premiums and creating a term deposit for a period of 10 years. While the first option is straightforward and requires no further explanation, the second option is definitely more complex and calls for a detailed explanation. This is explained in the following section. An existing savings bank account. Or, a newly created savings bank account. When a girl or a woman takes the gift cards to the bank, she will be asked whether she wants to enroll for PMJJBY and/or PMSBY schemes with the existing account or with the to-be-created account (in case there isn’t already an account existing in her name). It is the sole discretion of the person to decide whether to enroll for one scheme or both or none. ₹ 12.00 will be paid as first year premium for PMSBY to the insurance provider.Another amount of ₹ 12.00 will be kept aside in the savings account to pay for the second year premium for PMSBY to the insurance provider. With ₹ 24.00 taken out from ₹ 201.00, the remaining balance of ₹ 117.00 will be used for creating a term deposit for a period of 10 years. This term deposit will be operated with an annual interest rate of 8%. This translates into ₹ 14.16 of interest earning each year. Assuming that the depositor activates auto debit for yearly premiums, the interesting earning for first two year will be deposited in the savings account (since the premiums were already deducted from initial deposit) and from third year onwards, ₹ 12.00 will be debited from the earned interest of ₹ 14.16. The remaining balance of ₹ 2.16 will continue to accrue in the bank account and will eventually serve as the TDS fee that will be activated when the term deposit is created. In case auto debit is not activated, the whole of interest earning will be deposited into bank account but the depositor will be responsible for manually paying the yearly premium. If she fails to do so, the insurance will become void and all earlier payments will be confiscated. ₹ 12.00 will be deducted and used to pay the first year premium for PMSBY. ₹ 330.00 will be deducted and used to pay the first year premium for PMJJBY. With ₹ 342.00 deducted, the remaining balance of ₹ 9.00 will be deposited in the bank account. In this case, no fixed deposit will be created and hence, no interest earning will be available. From the second year onwards, the depositor will have to manually pay the yearly premium for both the insurance schemes. ₹ 342.00 will be deducted and used to pay the first year premium for PMSBY and PMJJBY. Another amount of ₹ 342.00 will be deducted and kept in the account for the payment of the second year premium for PMSBY and PMJJBY. With ₹ 684.00 deducted, the remaining balance of ₹ 4317.00 will be used up for creating a Term Deposit for a period of 10 years with yearly interest rate of 8%.This translates into ₹ 345.36 of interest earning each year. If the depositor decides to enable auto debit for yearly premiums, the interesting earning for first two year will be deposited in the savings account (since the premiums were already deducted from initial deposit) and from third year onwards, ₹ 342.00 will be debited from the earned interest of ₹ 345.36. The remaining balance of ₹ 3.36 will continue to accrue in the bank account and will eventually serve as the TDS fee that will be activated when the term deposit is created. If the depositor chooses not to activate auto debit, yearly premiums are to be paid manually without failure. What if the depositor choose only one insurance scheme? All three gift cards become eligible for term insurance and subsequent premium payment using interest earnings. Gift card worth ₹ 201.00 can only be liquefied and the money be withdrawn. It will not be eligible for insurance schemes or term deposits. The other two gift cards worth ₹ 351 and ₹ 5001 will work as normal (as described above) with slight changes in numbers because the premium amount of ₹ 12.00 for PMSBY will no longer be applicable. Recipients cannot be less than 18 years old. Recipients cannot be more than 50 years old. Recipients cannot enroll for insurance schemes (PMSBY and/or PMJJBY) using multiple bank accounts. All term deposits under Pradhan Mantri Suraksha Bandhan Yojana will have TDS deductions. Is it not possible to purchase these cards after Raksha Bandhan? The Pradhan Mantri Suraksha Bandhan Yojana will remain open for the entire year henceforth. This means that these gift cards can be purchased whenever one wishes to. 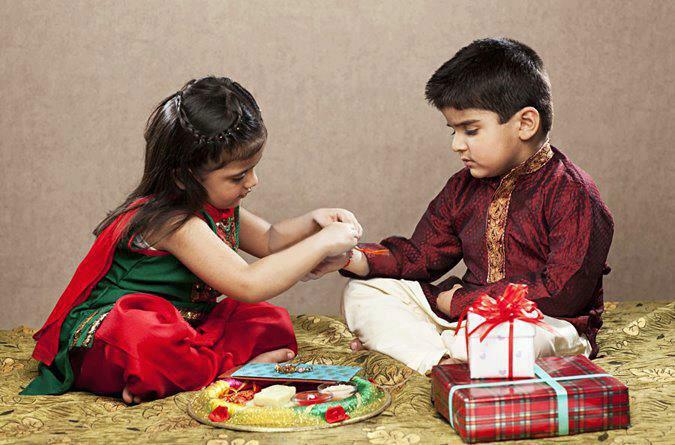 Raksha Bandhan is just an auspicious day chosen to widely market this scheme. A person can logically purchase more than on card and a person can similarly receive more than one card. However, a single recipient of multiple cards needs to deposit all cards in a single bank account.